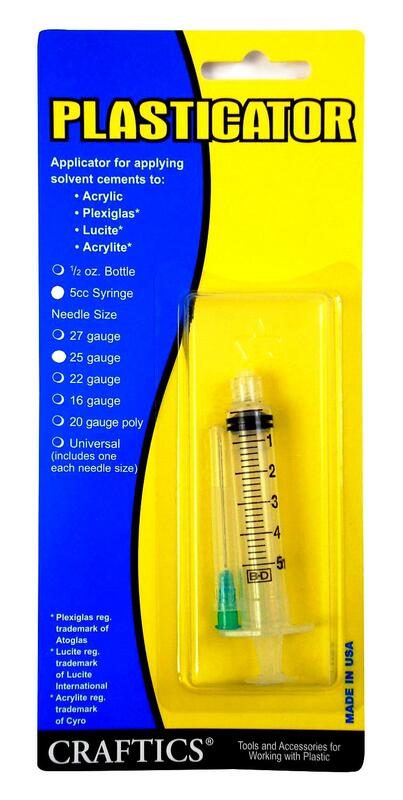 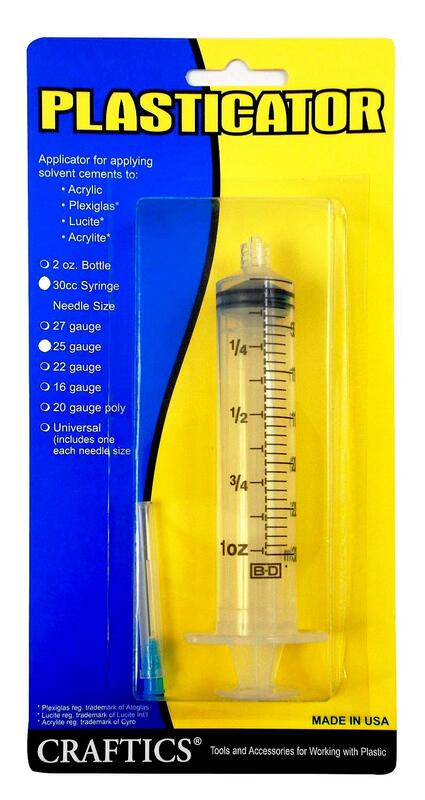 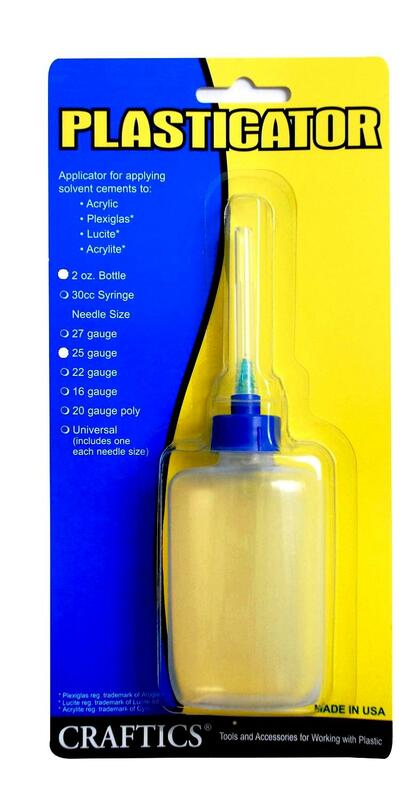 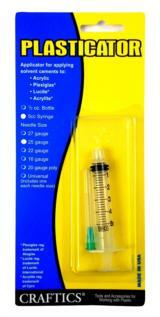 1/2oz Plasticator bottle with 27ga metal needle. 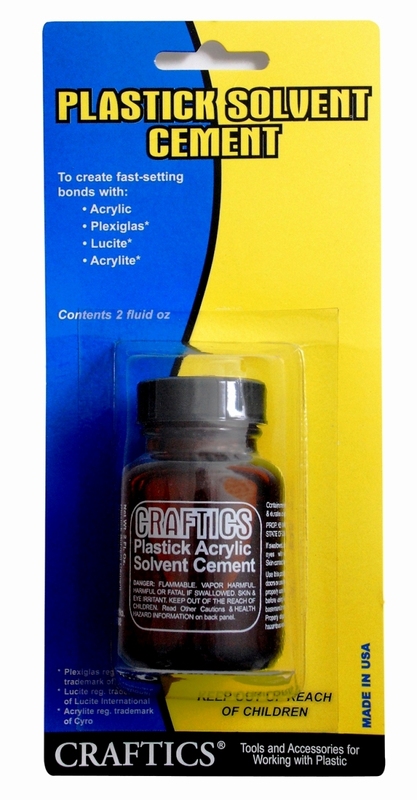 Craftics Clear Acrylic Solvent Cement / 2-oz Bottle Water-thin, fast-set,Shelf Life: 2yrs. 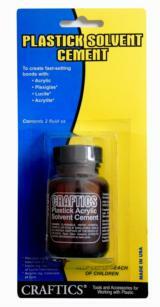 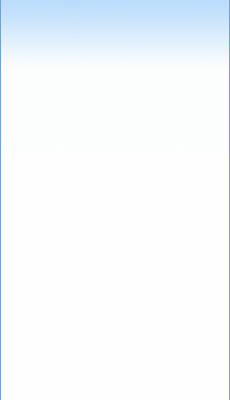 For joining acrylic, styrene, butyrate, and polycarbonate and other plastics to themselves. Apply by capillary method using Craftics Plasticators and Syringes.